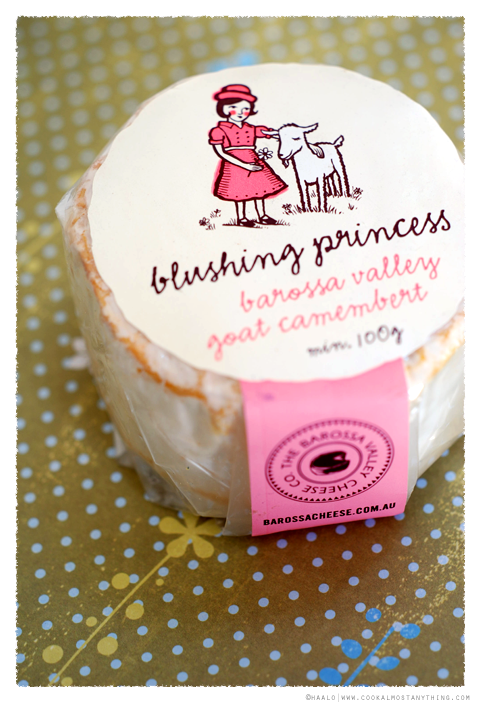 This is the Blushing Princess and you might recognise that label from La Petite Princesse. 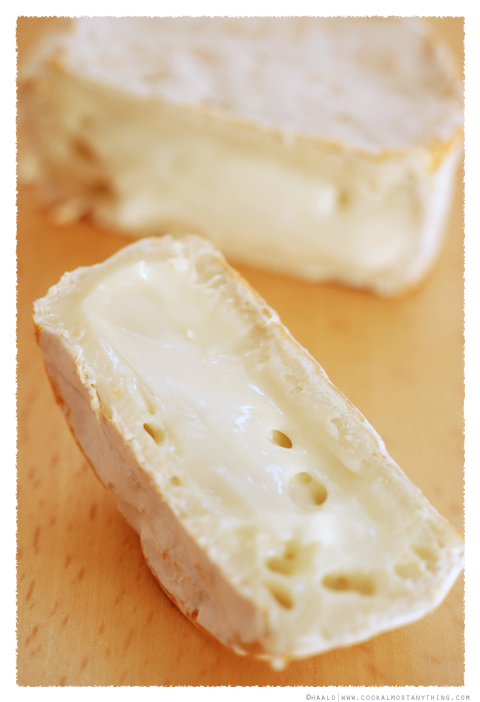 This is a goat milks cheese camembert that has been lightly washed. The initial aromas are grassy rather than musty. 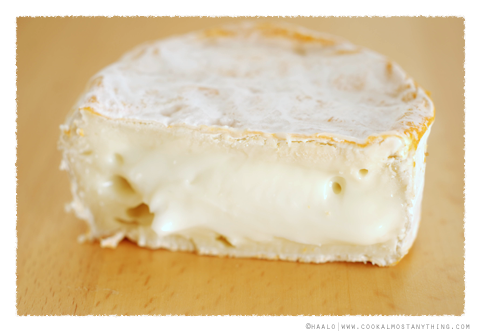 Before slicing I've allowed the cheese to come up to temperature, allowing those gooey characteristics to come forth. I've found the rind to be quite thick though it isn't too overpowering. 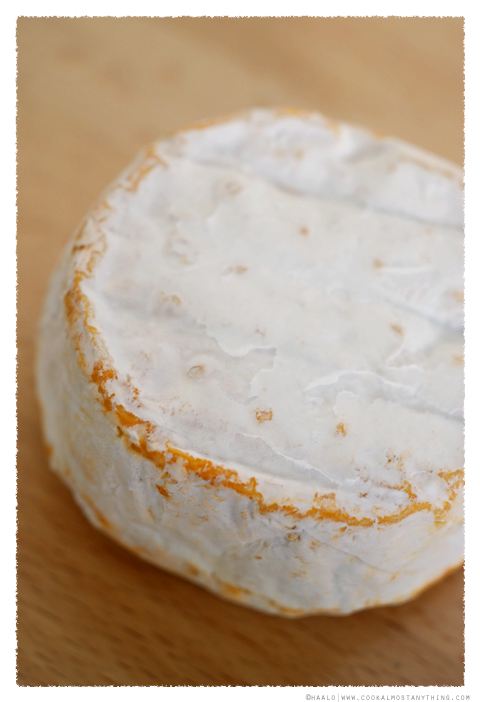 The cheese itself is quite sweet, good fat levels means the flavour lingers in your mouth.